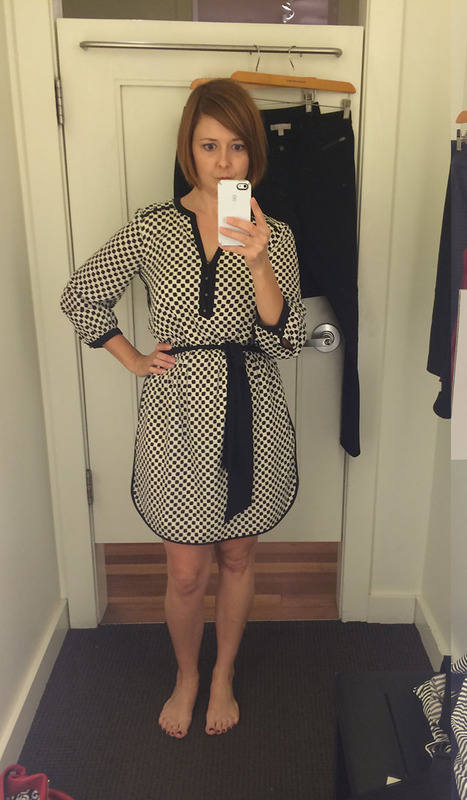 Looks Good from the Back: Review: Banana Republic Fall Collection. 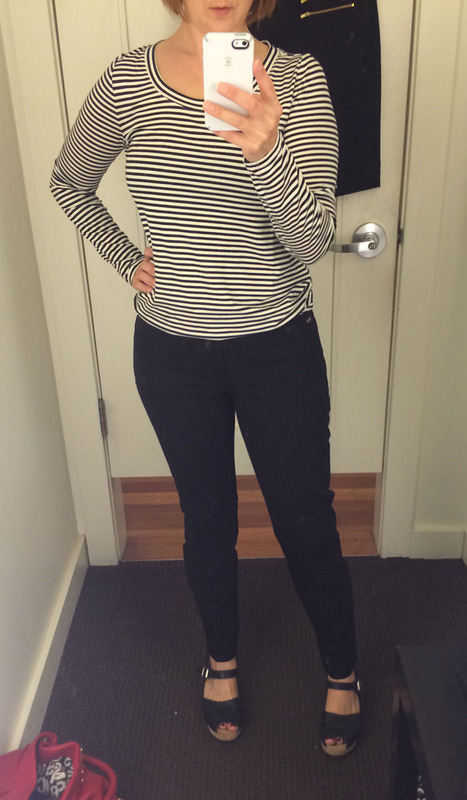 I didn't get photos of them, but I also tried on the Moto Sweater Jacket which I found awkward and the Faux-Leather Trim Open Cardigan which I very much plan on purchasing. Yes. 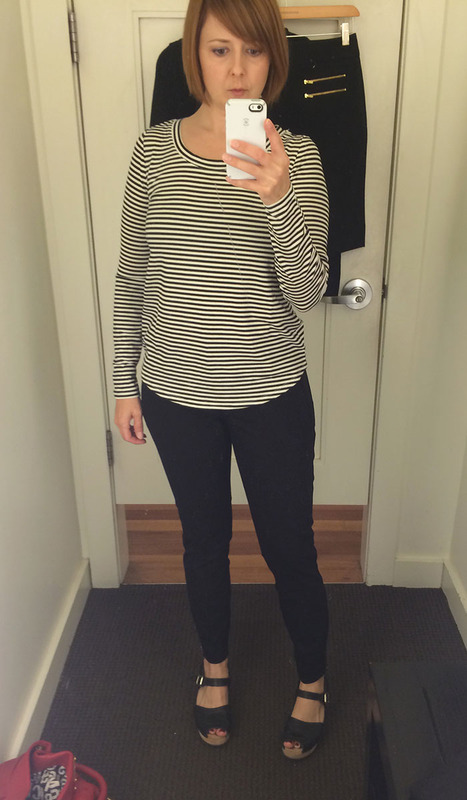 And damn, there were so many other things I didn't even have time to try on but I am PRETTY SURE most of my fall clothes will be BR, which is stupid if you're a style blogger but too bad. Garanimals 4EVR! I'm pretty sure you need that first skirt. It looks amazing! I like it all in theory but I always wonder about washing all that faux stuff. That said, the all gray and black rocker look is fun for fall, makes me want to loiter in smoky bars and listen to rock bands. 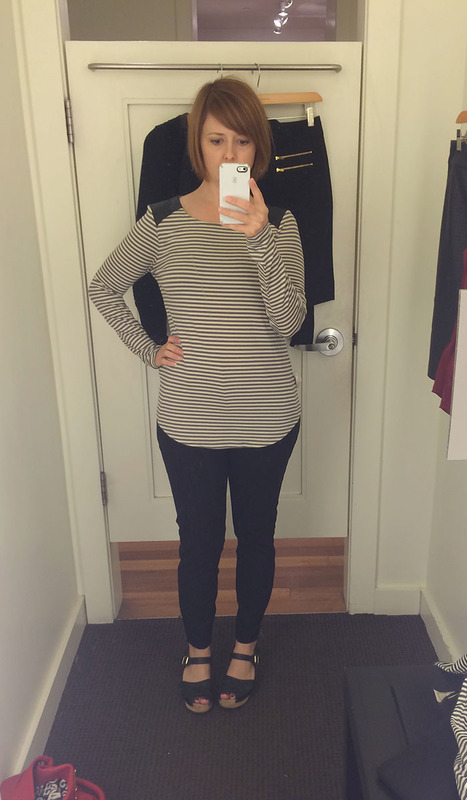 Just want to agree with unhinged dressing room lady you indeed look wonderful in both the dress and the leather trim striped tee! Those items may be worth buying when/if they ever go on deep sales. I understand not liking an elastic waist but it seems to hit you right and looks great with that tie belt. 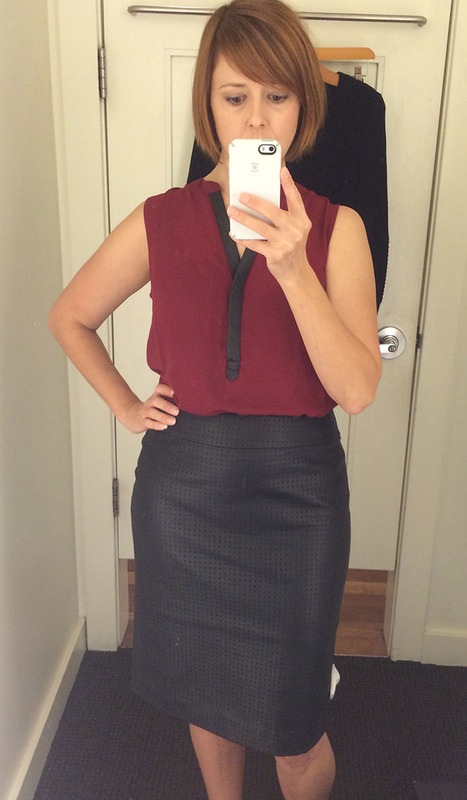 Also the leather trim blouse and that first pencil skirt look really, really good, but you already know that. 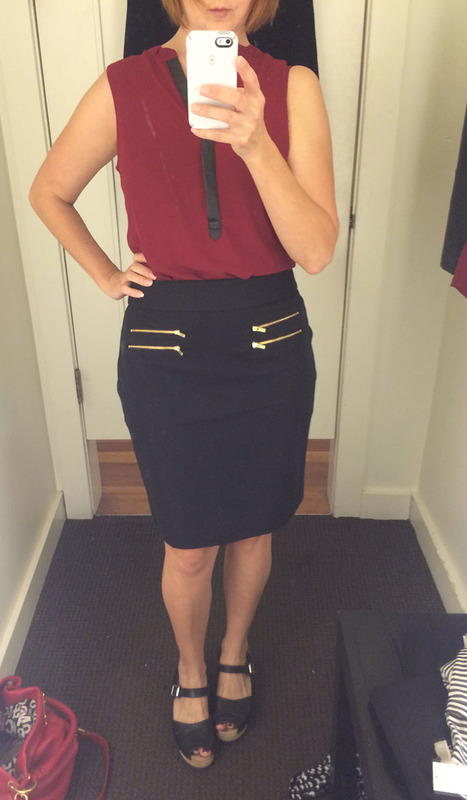 Whoops, meant to add that first skirt doesn't look super office-ready but so flattering on you for going out! I knnoow. I love it so much. It might have to be mine even if I can't wear it to work. I wouldn't blame you, I may be going to investigate it this weekend now. 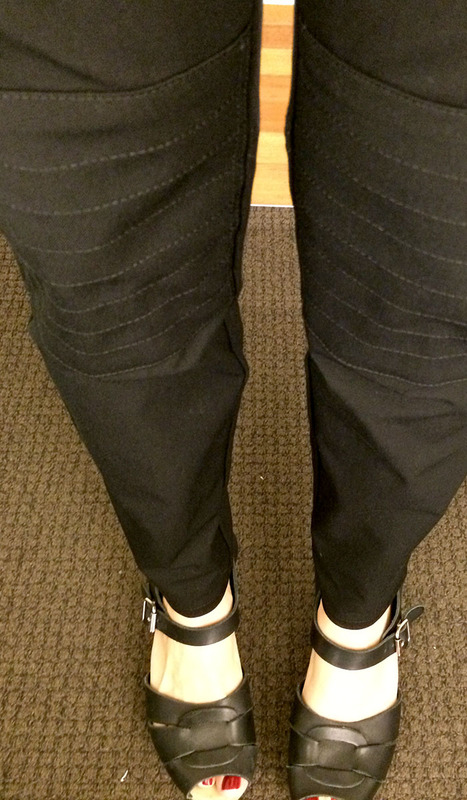 A tight fitting black leather (or pleather) skirt in the office just seems a little...over the top. I probably could get away with it but it would feel a bit risqué. Too bad that moto sweater looked awkward. I love the look of them but I think I look awkward in this style. Love all your tops!